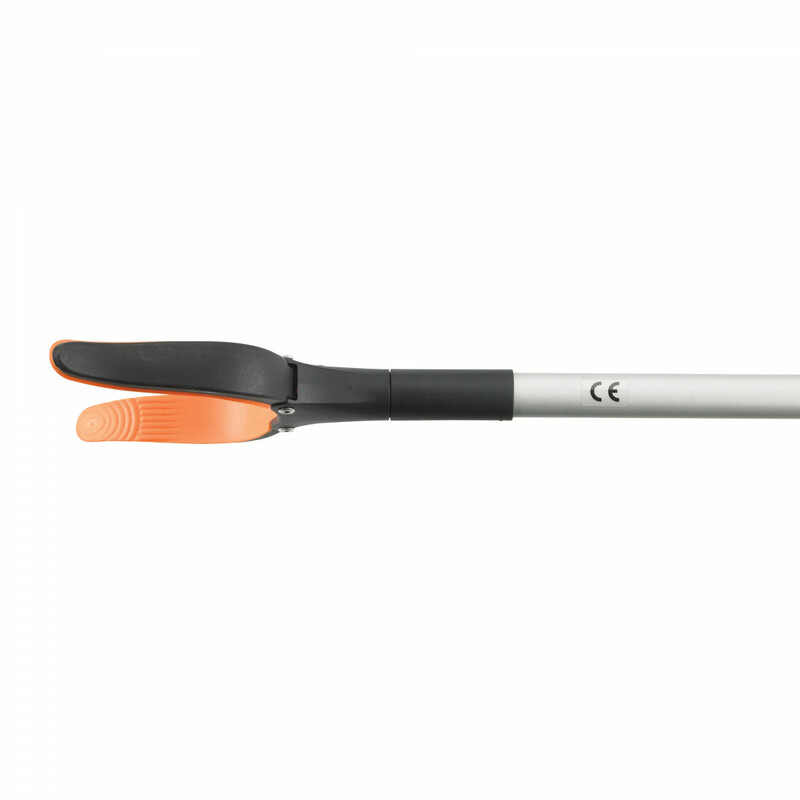 The Drive Medical Hand-Held Reacher is a safe and effective way to easily access things that would normally be out of the way. The Drive RTL5023 Hand-Held Reaching Aid adds 28 inches of length, which helps reduce bending and stretching when picking up objects. 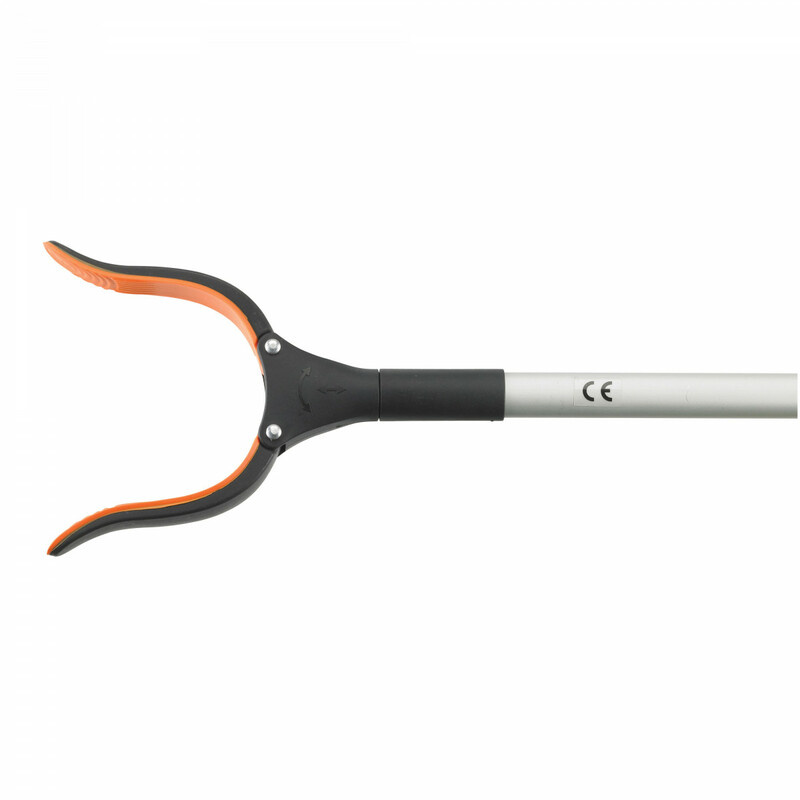 Using this handy grabbing tool can help reduce the risk of injuries associated with reaching for objects that are out of the way. 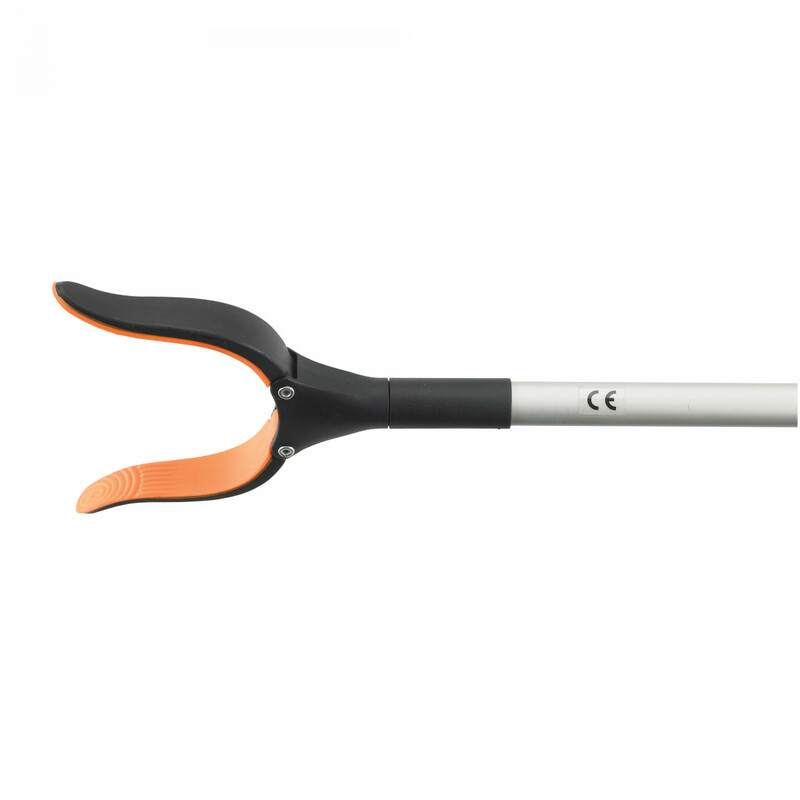 The Drive Medical Reacher is made of lightweight aluminum and only requires 7 ounces of pressure to trigger the clamp, which makes it ideal for individuals with limited hand strength. 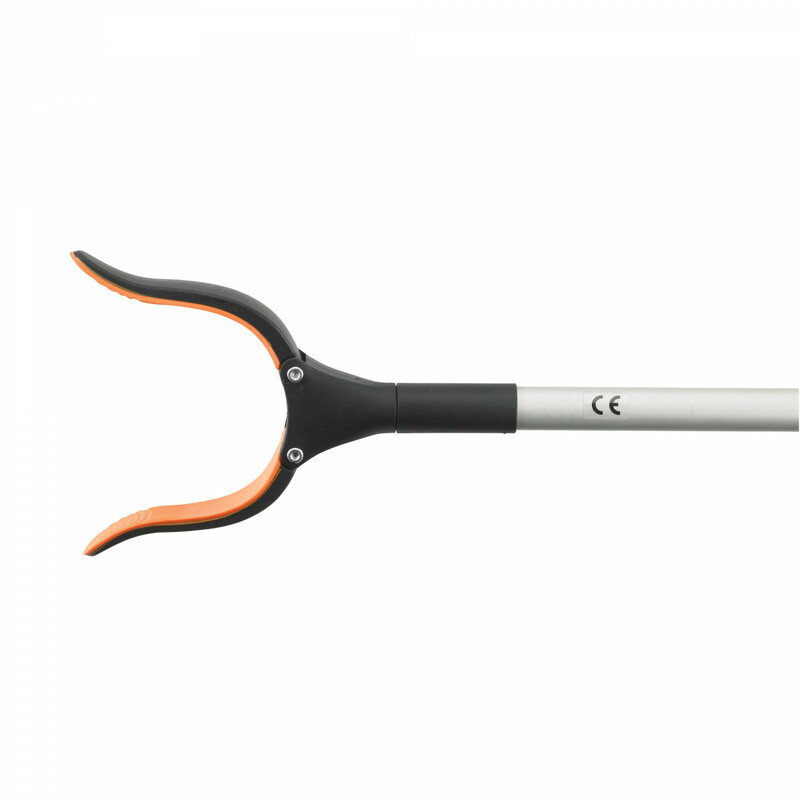 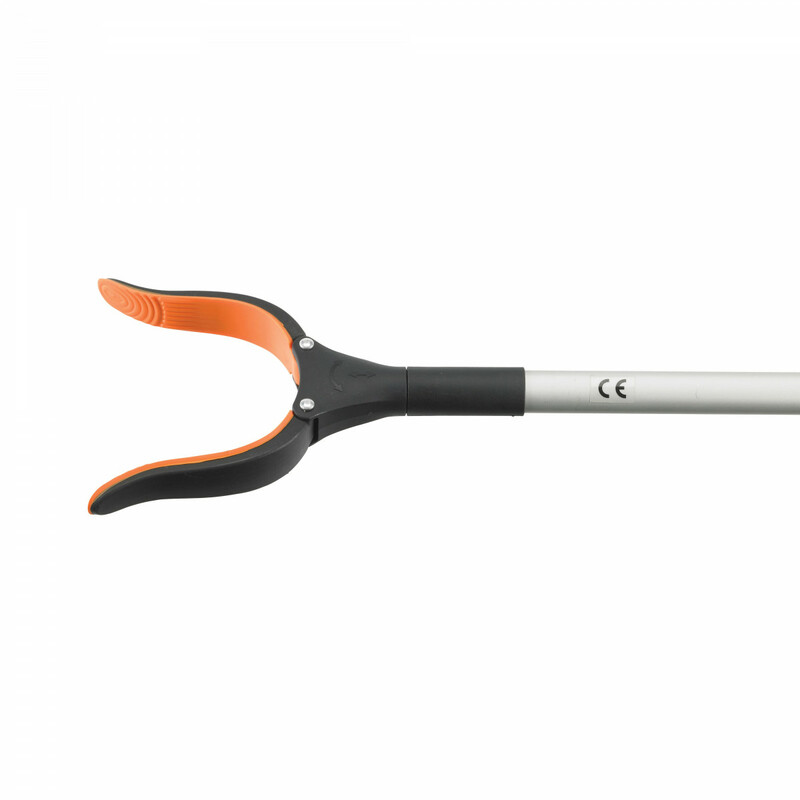 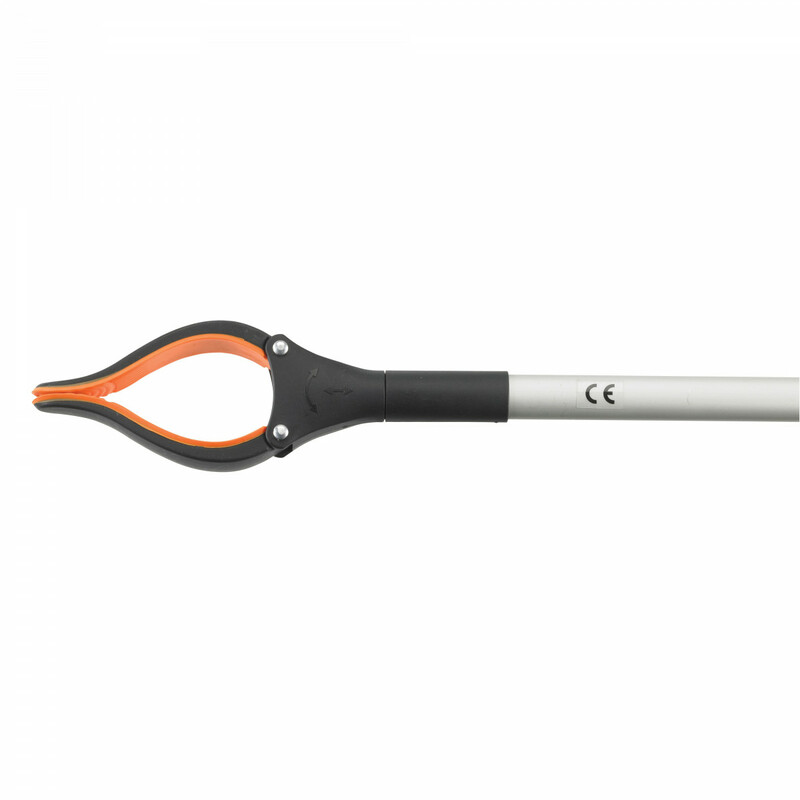 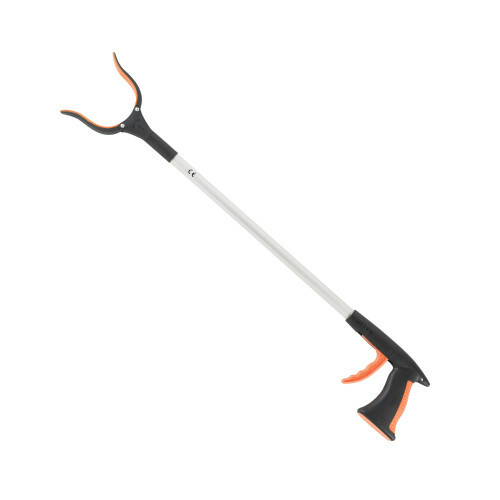 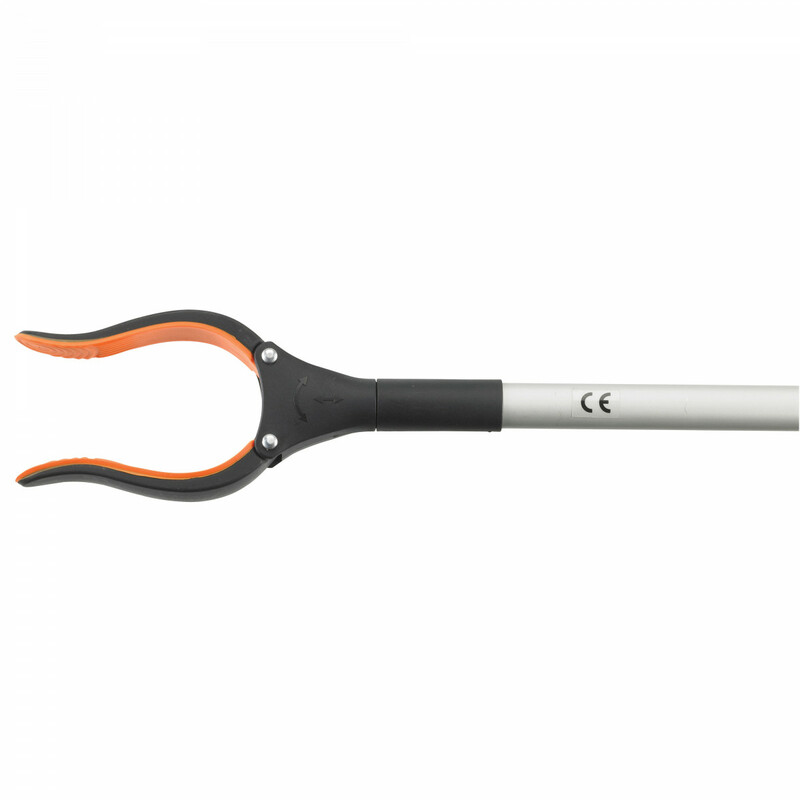 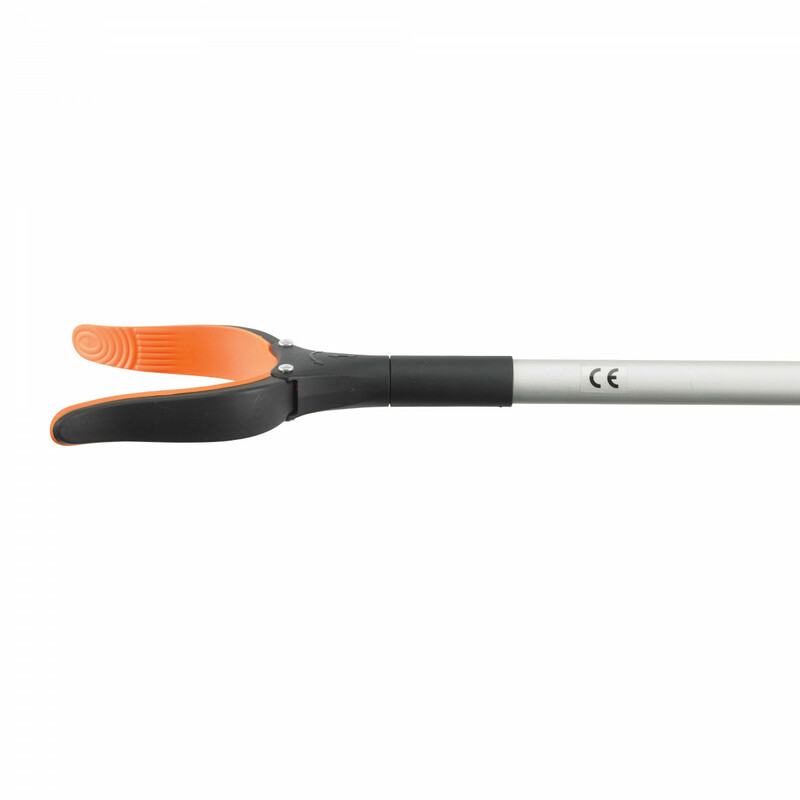 For individuals who require a reacher/grabber with more length, you may prefer the Duro-Med Non-Folding Aluminum Reacher Grabber with Magnetic Tip (32 inches).